I love one-pot meals because you can get so many ingredients and food groups into one bowl. This recipe is easy, quick, and freezes very well. The vegetables and chick peas add loads of soluble and insoluble fibre leaving you feeling full and satisfied. 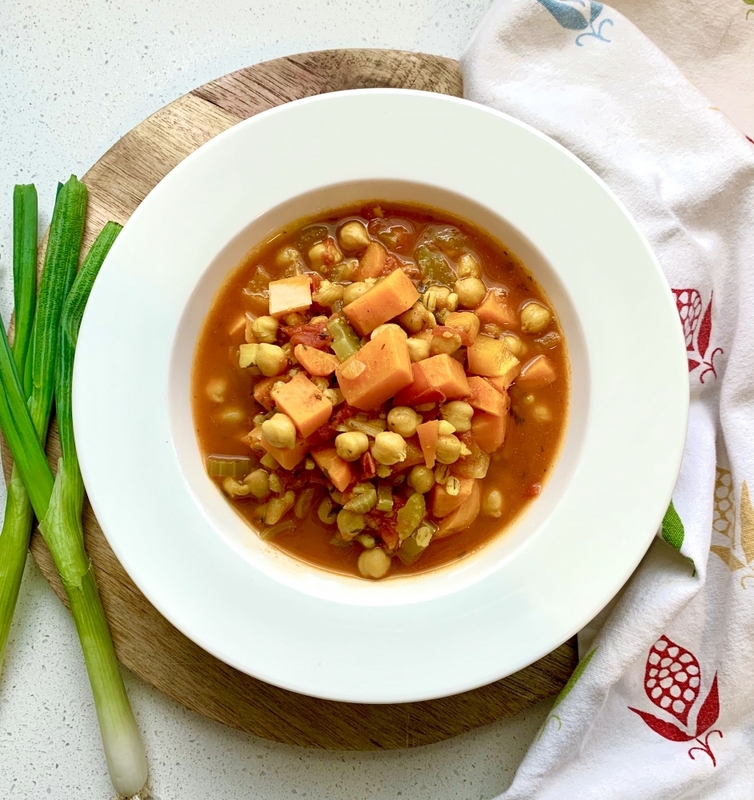 This stew is rich in beta carotene, vitamin A, potassium, folate, and vitamin C. The spices and herbs used are common to Moroccan cuisine and also carry a host of antioxidants. With so much colour, you know it's a good thing! Experiment with local legumes! After all, Saskatchewan produces over 80% of Canada's chick pea and lentil crops. 1) Saute the onion and garlic for a minute before adding the carrot, celery, sweet potato, and pepper. Saute another minute. 2) Add the remaining ingredients and bring to a boil. Once boiling, cover and reduce heat to simmer for 30 minutes. Alternatively, throw all of the ingredients into your slow cooker and turn it on for ~3-4 hours. Leave it until it's ready! Easy peasy.